No parent wants their child to become a bully or the victim of a bully. But bullying continues to be a dominant safety issue in our schools and communities. It is, in fact, the most common form of violence in our society, and between 15 and 30 percent of public school students are or have been bullies or victims, according to most research studies. So think about the behaviors you may have seen recently in your toddler. Did he or she push another child? Grab the toy he or she wanted from someone else who was playing with it? Or respond meekly when someone knocked down their block structure? If you’ve observed these things, do you need to worry that your child is on the path to becoming a bully or victim? Fortunately, the answer is no. We’ve learned that aggression is an inborn trait, present in everyone during the earliest years. It typically peaks when children (and especially boys) are two or three years old and then recedes as they gain control over and curb their impulses. As you might imagine, however, this doesn’t magically happen on its own. Young children need guidance and support from parents and teachers as they learn to control and moderate their aggressive behaviors. If this support isn’t present, and preschoolers don’t learn to regulate their aggression during this period, they are more likely to become bullies during their later school years. Similarly, we know the preschool years are an ideal time to help children gain the social skills necessary to avoid becoming a victim. 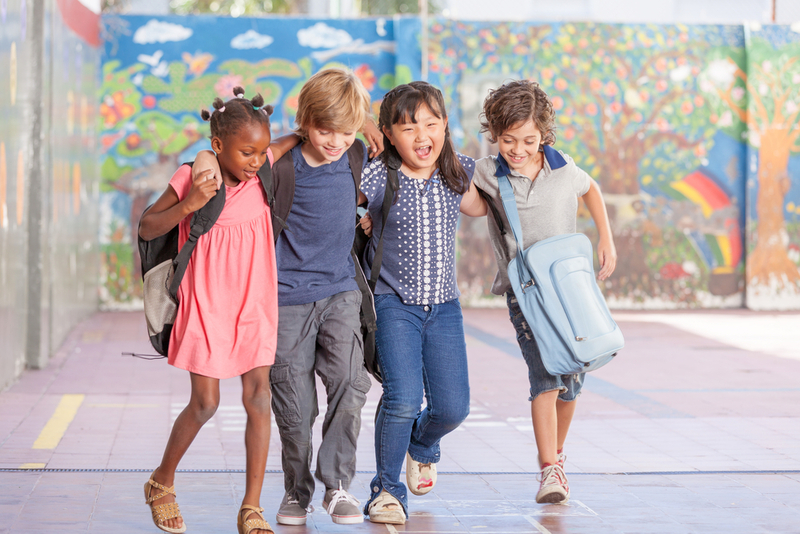 Children who have good friends, display appropriate social skills and are used to solving their own problems generally avoid being subject to the aggression of their peers during elementary school. So what can you do at home to bully-proof your child? During toddlerhood, while children’s aggression is peaking, their language development is also taking off. This is really lucky as the best way to help children curb their impulses and gain social skills is through the use of language. We often repeat the phrase “use your words” to young children as we help them shift from using aggressive force to using language to solve problems and get what they want. Before children can use their words, however, we must use our words to help them deal with the complex process of problem-solving. Help children understand and label their own emotions when there are conflicts by saying, “You’re mad you don’t have the red marker” or, “You’re angry that she took your doll.” You can also help your child understand more about emotions by labeling them whenever children experience them in a variety of situations. When you say, “You’re happy to see grandma,” or, “You’re sad that your toy broke,” you are helping your child make connections between what they are feeling and why they are feeling it. Once children begin to understand their own emotions, they can start to develop empathy for the emotional experience of others. Help your child understand that it hurts their friends when they hit them, and that their playmates are upset because they want a turn, too. It’s easier to solve problems when you understand what someone else is feeling. When your child is just beginning to learn to solve problems peacefully, actually script the words he or she might say to a playmate. Suggest appropriate words for your child to repeat that fit the situation like, “I want the truck” or “It’s my shovel.” Be sure to use simple language that your child can understand and say. State the problem, such as, “You both want the ball,” and encourage the children to come up with a solution. If they can’t, suggest some possibilities such as playing with the ball together or switching who has it every few minutes. Remember, it’s critical to help children learn to solve their own problems rather than just making a decision yourself if you want to help them to avoid the roles of bully and victim as they get older. Be sure to let your children know how proud you are whenever they show empathy for others and attempt to solve their own problems, whether independently or with your assistance. For if we can help our children learn to control their aggressive behavior and stand up for themselves as preschoolers, we can make our schools and communities safer for all children. Dr. Firestone is a leading educational expert on brain development, early care and education and emerging literacy. 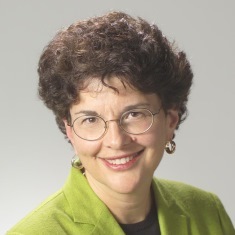 A past president of the Michigan Early Childhood Education Consortium and the Michigan Association for the Education of Young Children and a recent Governing Board member of the National Association for the Education of Young Children, Dr. Firestone has written and spoken extensively on the development and education of young children and their families.